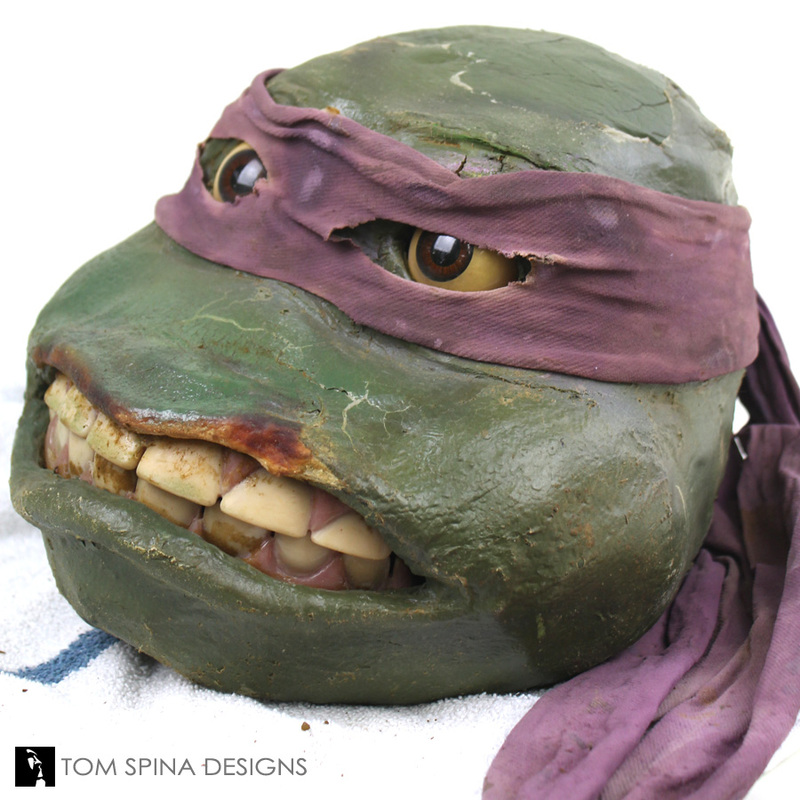 Heroes in a half shell! 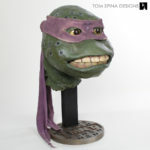 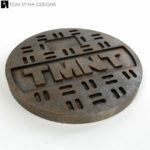 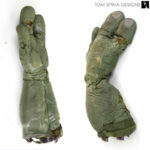 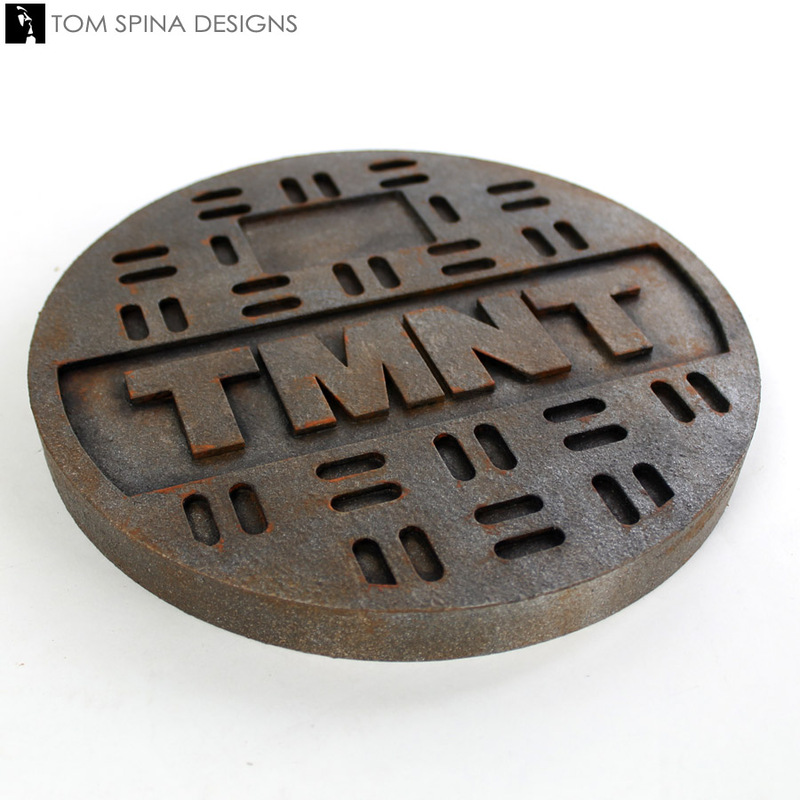 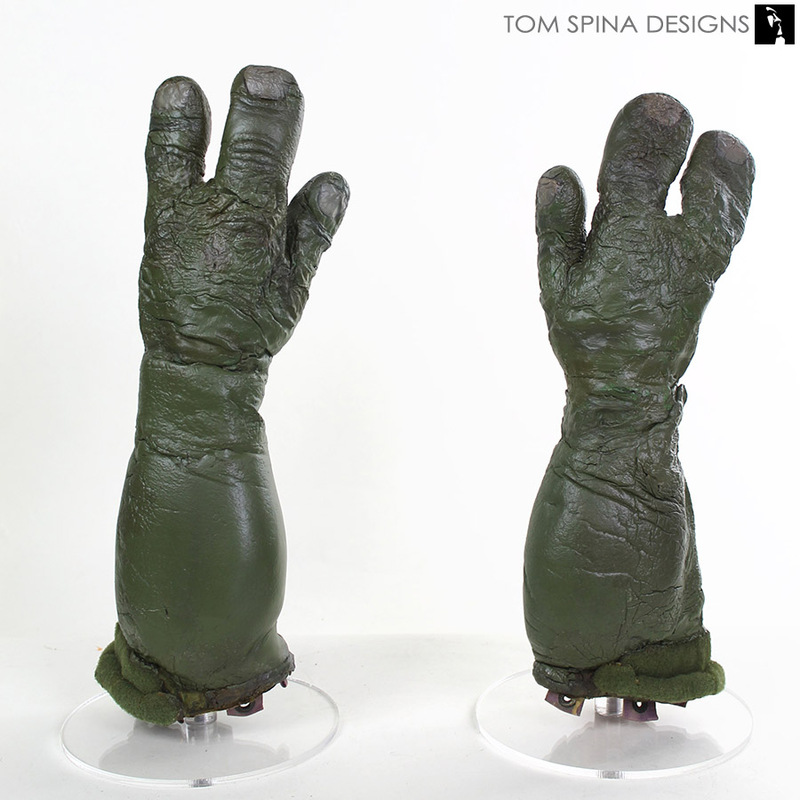 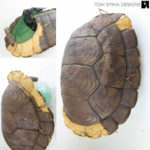 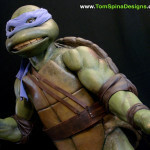 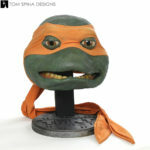 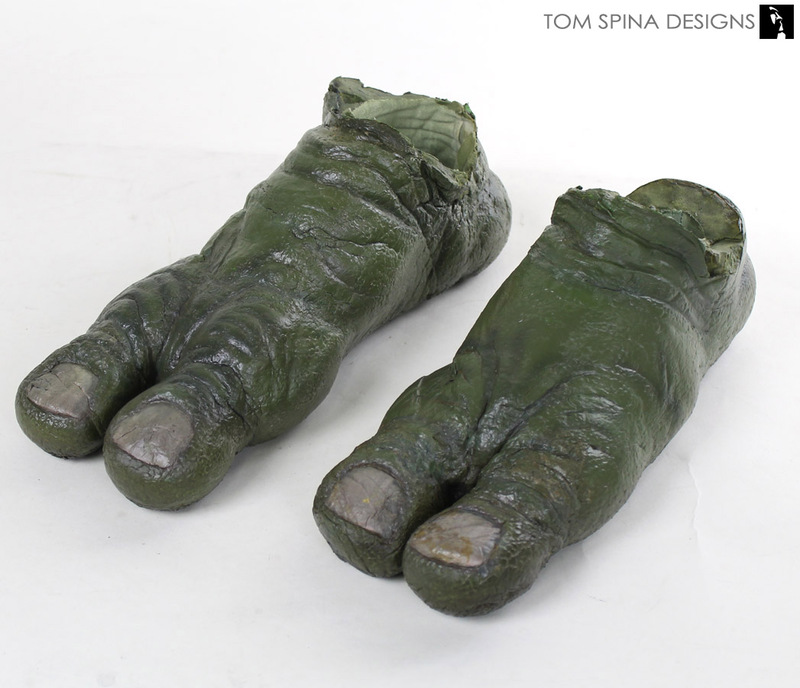 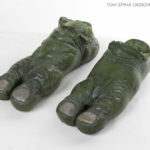 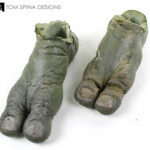 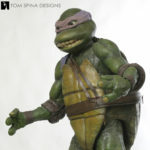 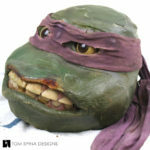 Several pieces of an screen used Donatello costume from the 1993 film, Teenage Mutant Ninja Turtles 3 – Turtles in Time. 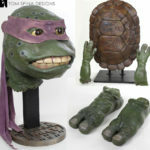 When Donatello’s costume head, arms, feet and shell from Teenage Mutant Ninja Turtles 3 arrived in our NY restoration studio, the foam latex props had began to dry out, peel and crack, and with out the proper support the pieces had started to warp. We began the process with his head, and carefully removed his screen used bandana to gain access to his entire face so that we could patch underneath. 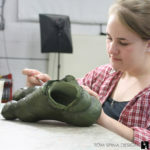 Although some of these repairs would never be seen it was important to give the head a solid foundation to help it maintain its shape and stability in the years to come. Per the client’s request, we also reworked some post-production repairs made to the mask’s snout prior to our work. 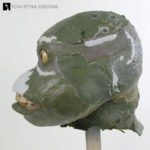 We patched any cracks or missing areas giving the our repairs texture to match the original material. 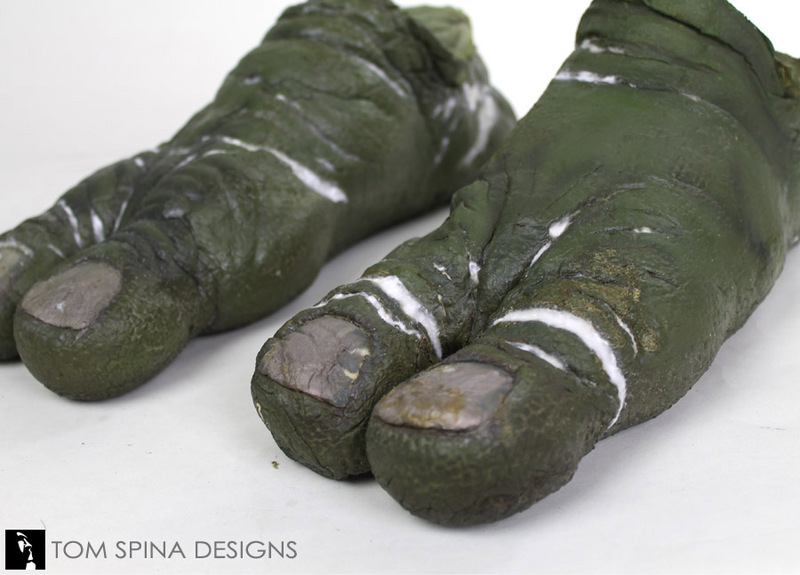 We then carefully painted those patches so that the repairs then became virtually seamless. 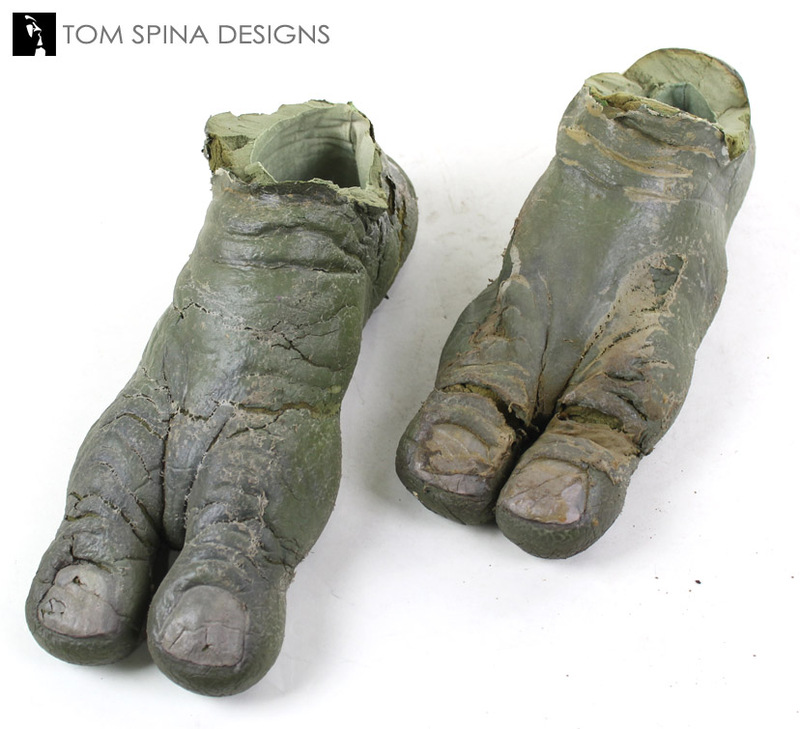 We followed this basic process with his arms and feet. Once we repaired the head and hands we created custom bases which helped to display and support the pieces. Our client also asked us to add back the signature spots to his head’s paint, which had been masked over time by other repairs and wear and tear. 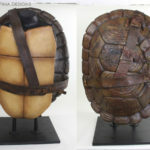 When it came to the shell, our client wanted to repair any of the missing areas and since they only had the back shell they asked us to create a replica of the belly/chest of the shell to help give the display a more finished look. 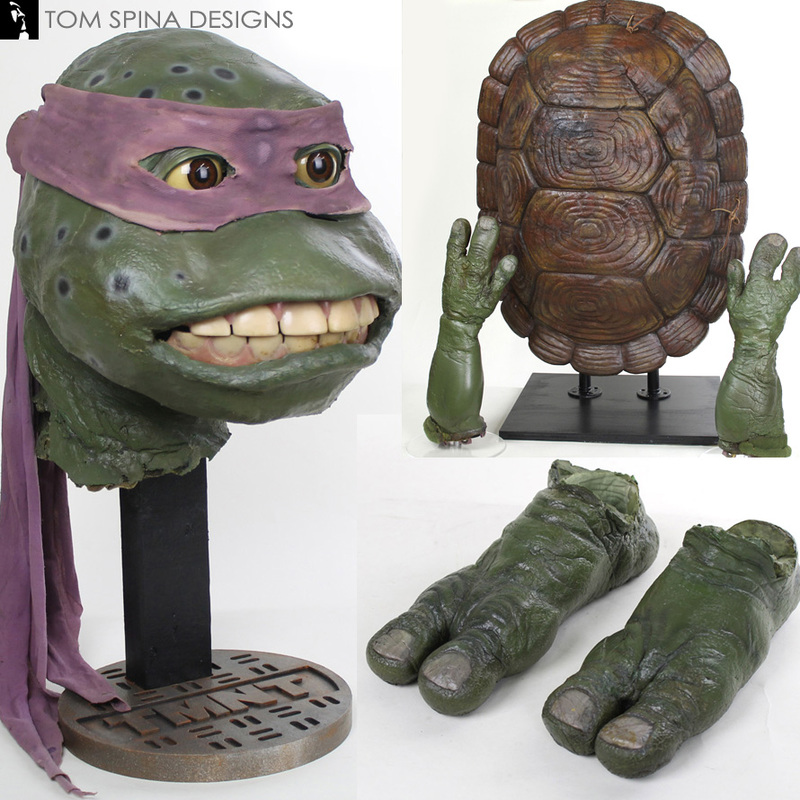 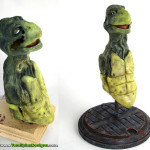 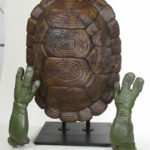 We only used photo references from the third film since each film had a unique style when it came to the turtle costumes and we wanted to remain true to the prop’s origin. 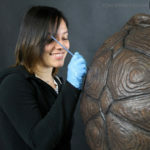 Artist Patrick Louie sculpted the belly piece out of foam to get the basic shapes down. 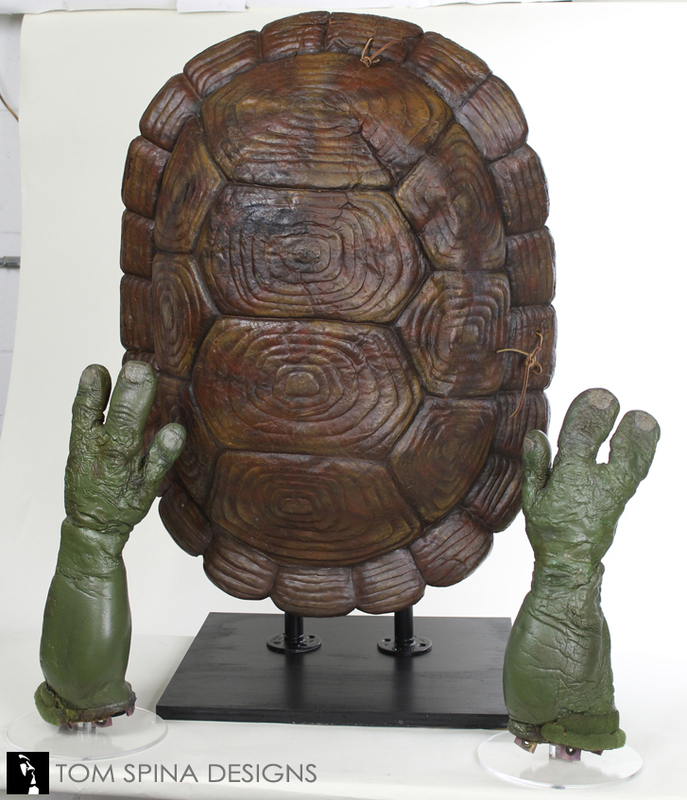 Once the shell was sculpted we gave it a hard coating to give it stability and give us a better surface for painting. 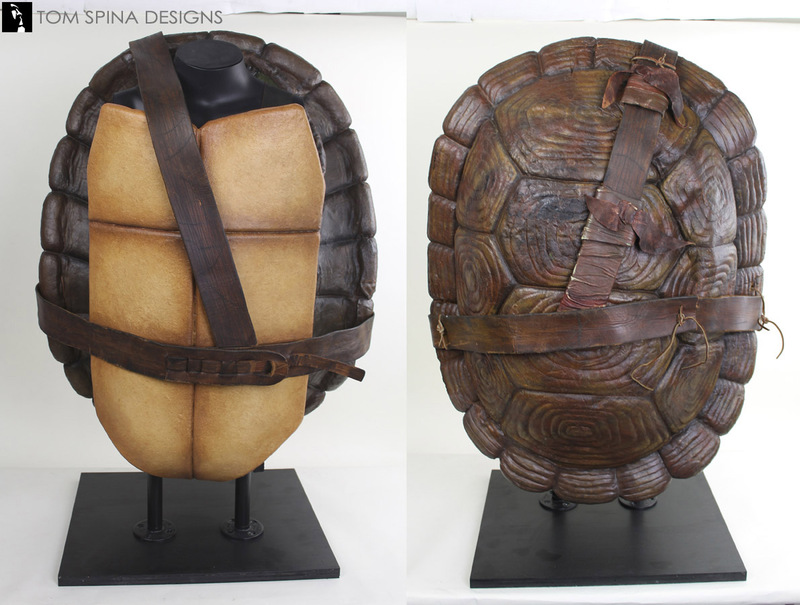 We them mounted both pieces of the shell to a customized mannequin, and finished off the display with Donatello’s screen used belts.